So you’re planning an EPIC Miami Weekend for you and your crew! 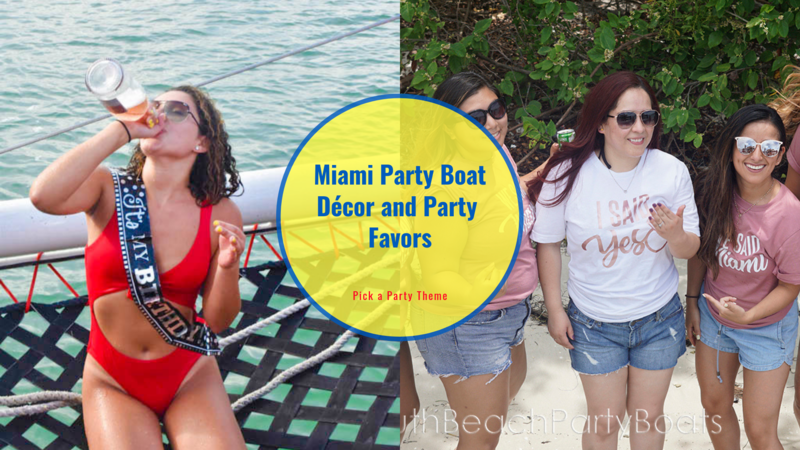 The highlight to an amazing weekend, whether it’s a birthday, bachelor or bachelorette party, will be your South Beach Party Boats cruise for you and up to 50 guests. But with only a month or two for planning you may be stuck on how to get organized, collect payments from everyone and pick a theme to create your amazing party. Trust there is a method to the madness and you can go from stressed-out to peaches and cream just by reading this article, A Party Planner’s Guide to Miami Part 2. This method is when all guests gather their deposits ($25 per person), and the organizer pays a small portion of the payment, which then reserves all seats. 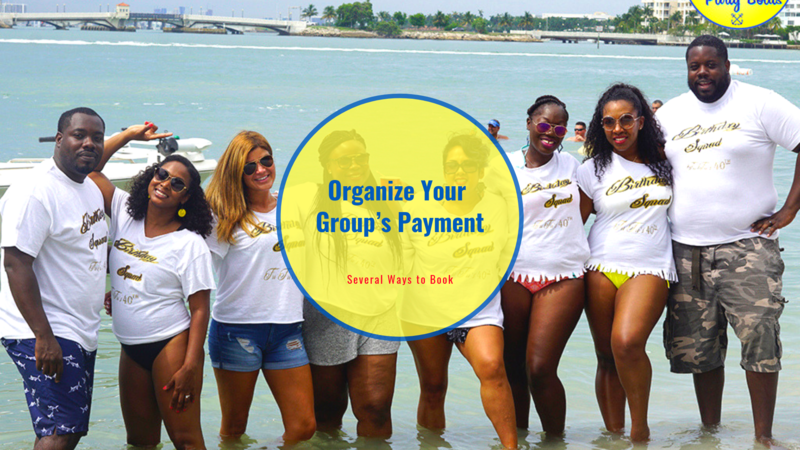 The remaining balance can then be paid in full on a credit or debit card 24 hours prior to the event, OR guests can pay individually in cash at our docks. Make it even cooler by collaborating with your SBPB Rep to create a customized webpage for your event. The organizer collects all the money in advance to pay for the group in full. Have everyone Cash App, Zelle, Venmo or PayPal their portion directly to the organizer’s account for quick and easy collection. Similar to the option above, if some of the guests don’t have the full balance, no worries. We can take the deposit, and the organizer can pay the remaining balance on a credit card 24 hours out. Each guest pays online individually. This last option is only available to those on PUBLIC charters, which means the boat will have other passengers on board. This is a great option so the organizer does not have to keep track of any deposits, the party will be full, and the guests can make new friends. Be sure to book early since public charters are on a first come, first serve basis. Be aware we may or may not have seats available for any last minute guests additions if the boat fills up. Got your payment arrangements and booking all planned out and just want to make it more custom? Collaborate with a SBPB Rep on creating a webpage for your special event, please call South Beach Party Boats 786.529.7787 to discuss adding some of your own custom photos or videos to a page just for your party. Now that the methods to pay are clear, let us fill you in on the all-inclusive fun activities that will keep your guests continuously entertained. The Island Party Boat w/BBQ, which includes stand-up paddle boarding, floating water mat, and a water trampoline. This charter anchors on an island, where guests can have a mini beach adventure, while the DJ (optional, fees may vary), plays the hottest tunes. Grilled burgers, hotdogs, sodas, beer and wine along with light snacks are also available. The Private Sailing Yacht Party, on the other hand, includes similar water sports such as kayaking, paddle boards, aqua mat, water noodles and a trampoline. Beer, wine, sodas and finger foods are also available. Both charters come with fun activities that’ll keep the party lively. Décor and party favors are something to think about purchasing in order to keep the party theme consistent and coherent. Many Bachelorettes wear matching swimsuits with their bridesmaids to take photos. If you request ahead of time, you can event get photographer added to your trip so you can go handsfree except for your drink. All the guests can receive great quality memento photos. If you are throwing a birthday party, bringing along birthday caps, sash, or any other color-coordinated detail to give the party a bit of pizazz. Don’t forget the cake 😉. Planning an epic birthday party, bachelor or bachelorette in Miami at South Beach Party Boats is easier when everyone on the same page. After reading this article, there is no doubt that your party won’t be the best one in town. With the funds right the fun right and the festivities right you’re sure to throw the best Miami Bachelor/ette or Birthday party your friends have ever seen. 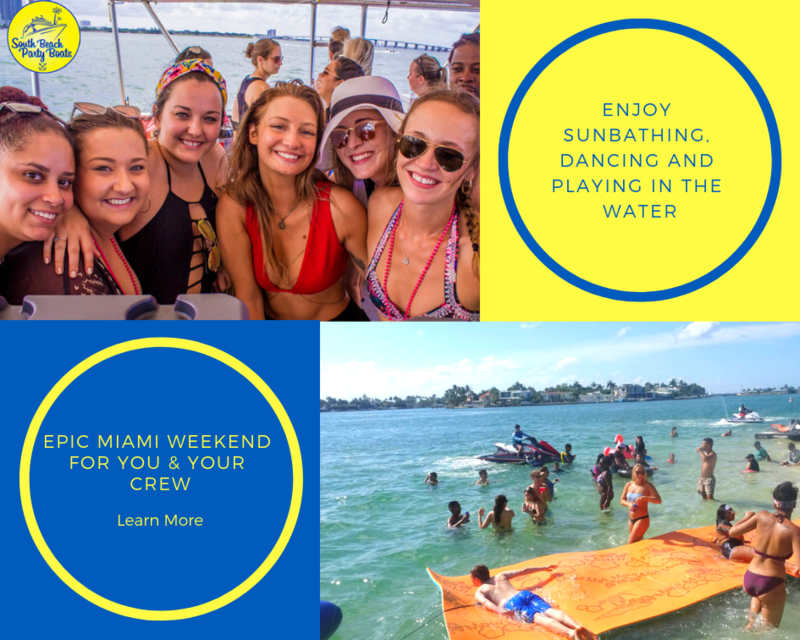 Get started on making reservations for your upcoming birthday party, bachelor or bachelorette party, visit the full list of water excursions https://southbeachpartyboats.com/activities/ , or call 786.529.7787.